Located in the beautiful Palos Verdes Peninsula, Ms. Klerman’s office is convenient to both Los Angeles and Orange County, and offers everything necessary to help your mediation run smoothly in a calm and relaxing environment. 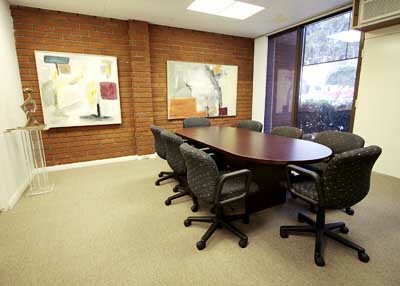 The office has two large acoustically separated conference rooms, each of which has abundant natural light and separate entrances. There are also two smaller breakout rooms. 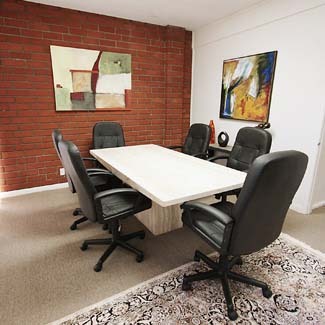 The serene office setting decorated with original artwork contributes to an environment ideal for getting down to the business of settlement. Ms. Klerman’s office provides free wireless internet access, printing, faxing, photocopying, and a refrigerator stocked with beverages and snacks. 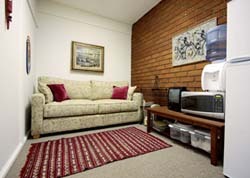 There is convenient, free parking, with excellent local restaurants and cafes just steps away. When requested by and agreeable to all parties, the mediation may be conducted at the office of one of the parties or attorneys, or another alternative location. 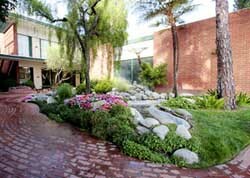 Ms. Klerman’s flat rate for full day mediations includes travel time within the Southern California area.